Alcohol Withdrawal: Do You Know the Signs? Alcohol withdrawal is the most serious of substance withdrawal situations. Do you know the signs of this condition? Most everyone working in a jail for even a short time is aware of the substantial use of alcohol by those detained for criminal activity or other law violations. Indeed, many of these law violations are a result of alcohol overuse such as DUI, traffic violations, and personal injury due to car crashes. As many as 85% of inmates are substance involved in some way. One study of data from the Arrestee Drug Abuse Monitoring Program (ADAM) estimates 1.2 million arrestees were alcohol dependent in 1997. Immediate medical evaluation for a positive history of heavy and regular alcohol use. NCCHC guidelines also recommend the use of a standard screening tool such as the Simple Screening Instrument for Substance Abuse (SSI-SA). This list of questions is indeed simple and less cumbersome than many alternatives. An advantage of this tool is that is can be used for either drugs or alcohol. The patient’s answers to 16 yes/no questions are then scored along a continuum of degree of risk for abuse. Another highly-credible alcohol screening tool is CAGE, discussed in a prior blog post. CAGE is even shorter than the SSI-SA and is specific to alcohol intake. Two positive responses are considered a positive test and indicate further assessment is warranted. The World Health Organization (WHO) recommends use of AUDIT – the Alcohol Use Disorders Identification Test. This tool was developed and extensively evaluated in a variety of settings, making it a credible screening option. Whatever tool you use, it is important to consistently screen every incoming patient. 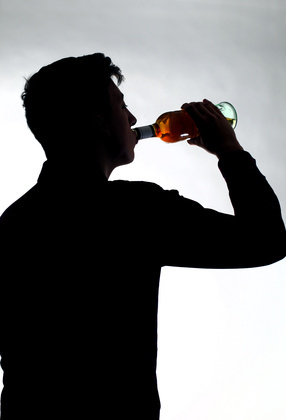 There are many reasons your patients may under-estimate their alcohol involvement. First of all, if alcohol use could be a contributor to the activity that resulted in detainment, your patient may not want to emphasize use. Then, trust might be lacking in the nurse-patient relationship that will limit full disclosure. Finally, people generally under-estimate poor habits while over-estimating good behaviors. For all these reasons, some seasoned jail nurses mentally double the estimated drinking reported on intake. Although that might be extreme, expecting under-estimation can help you better predict withdrawal potential. Alcohol withdrawal should be top-of-mind when screening those entering the criminal justice system. Besides screening tool results, NCCHC guidelines also recommend that immediate medical evaluation be sought for observable symptoms of current alcohol use such as alcohol on the breath, unsteady gait, or confusion. Any of these symptoms should indicate a deeper evaluation of alcohol withdrawal potential. How do you screen for potential alcohol withdrawal in your setting? Share your thoughts in the comments section of this post. To read more about alcohol and drug withdrawal in the correctional setting see Chapter 5 in the Essentials of Correctional Nursing. The text can be ordered directly from the publisher and if you use Promo Code AF1402 the price is discounted by $15 off and shipping is free. This entry was posted in Assessment and tagged Alcohol withdrawal, Essentials of Correctional Nursing, Lorry Schoenly. Bookmark the permalink.